Like many I was both puzzled and troubled by the Obama Administration’s request of $500 million for the Every Child Succeeds Act (ESSA) Title IV block grant program, less than a third of the authorized maximum. Given the great variety of needs the program is intended to address and the complex, layered structure for allocating program funds, even a fully funded program would be challenged to make a real difference in many communities across the country. For fiscal year 2017, the Administration requests $500 million for Student Support and Academic Enrichment Grants. This program can help improve student outcomes by providing resources to enable States and LEAs to respond flexibly to identified needs across a variety of areas, including providing students with a well-rounded education, ensuring a safe and supportive learning environment, and using technology to improve instruction. The request includes appropriations language to give States the option to override the statute’s formula – based local allocation requirements, which at the proposed funding level would result in allocations for the vast majority of LEAs that are too small to support meaningful uses of funds. The Administration estimates that, at the $500 million funding level proposed for fiscal year 2017, at least 80 percent of LEAs would receive a formula allocation that is less than the $30,000 award that triggers a needs assessment. Further, 75 percent of these LEAs (or, at least 60 percent of all LEAs) would receive awards at or below the minimum $10,000 allocation, including all LEAs in the States of Iowa, Montana, Nebraska, Oklahoma, and Vermont. To ensure that subgrants are of sufficient size to support meaningful program activities in response to locally identified needs, the Administration requests appropriations language allowing States to make competitive rather than formula-based subgrants to LEAs or consortia of LEAs in a minimum amount of $50,000 per year for up to 3 years. 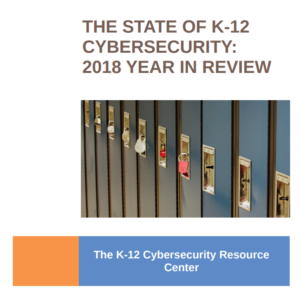 In addition, the Administration proposes to permit States to give priority to one or more of the authorized categories of activities (i.e., well-rounded education, school conditions, and use of technology) or to specific authorized activities within each category. There is precedent and recent experience with such a change in program design. For instance, this type of adjustment to program operations was enacted via the appropriations process for the now defunct state educational technology grants program (Title IID, Enhancing Education Through Technology Program (EETT) of the No Child Left Behind Act [NCLB]). While it is unclear whether or to what degree the Administration’s budget proposal will get considered in Congress, I do hope that the kernel of this idea is not lost amidst the bigger debates. It is a smart idea, good for kids, and worthy of due consideration. Unless this is the start of the end for the block grant. They typically do not have an advocacy group so can die in times of fiscal scarcity – which are coming.